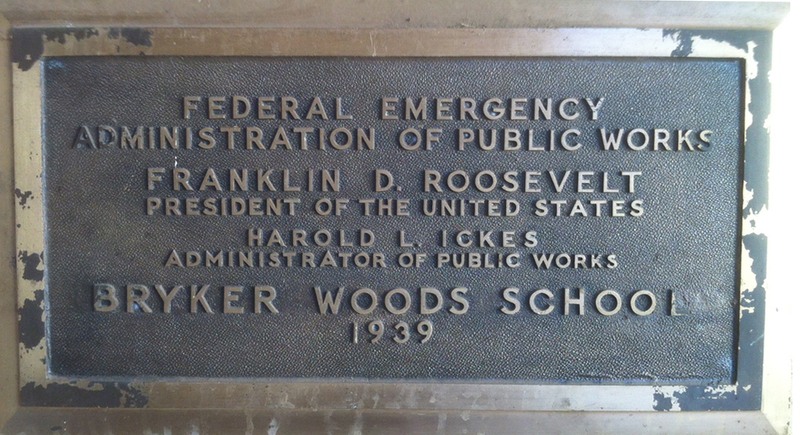 Bryker Woods Elementary School was built in 1939 as part of the Federal Emergency Relief Administration program (later to become the “WPA” program) Much of the Bryker Woods neighborhood was developed at this time. Located on Shoal Creek, the school’s campus is situated among several heritage Live Oak trees. The school has been enlarged by adding additional classrooms and a small gym and was remodeled again in 1986 by adding office space, a driveway in the front of the school, and additional parking. An enlarged library has been the most recent addition to the school’s campus. It is with great excitement to note that this year the school will be celebrating 75 years of excellence in education! The Bryker Woods Elementary School offers high quality education for its students. It serves grades Kindergarten through six. Students in Bryker Woods are in the O.Henry Middle School and Austin High attendance zones. Bryker Woods Elementary School is one of the few AISD elementary schools that has a 6th grade program (most other elementary schools end at the 5th grade). Students attending Bryker Woods Elementary live in all parts of the city–approximately 33% attend on a transfer basis, making it a real ‘school of choice’! The Bryker Woods Elementary School PTA http://www.brykerwoodspta.org is very active and there is very high participation by the parents in school activities. Bryker Woods also provides Extend-a-Care program and after-school Creative Action enrichment classes to its students. For detailed school information such as school calendars, staff directory, standards testing and lunch menu see the AISD BrykerWoods Elementary Hompage. We’ll be faithful Brykerwoods as years go by.